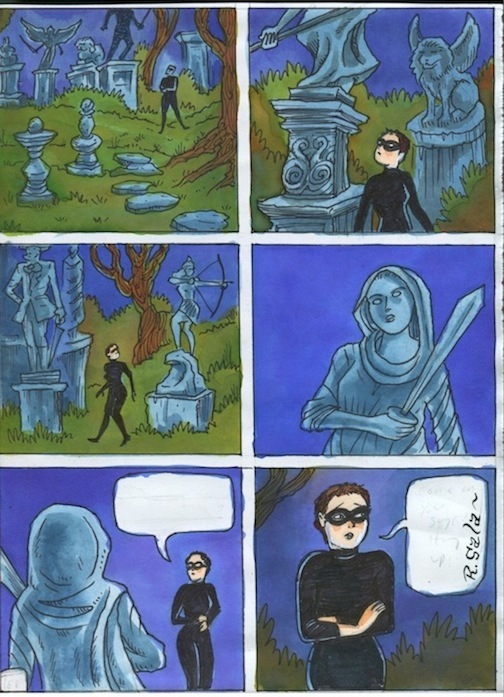 Preliminary color rough for page from CAT BURGLAR BLACK. Watercolor and ink on 8"x11" watercolor paper, tightly trimmed. (Some of the cropping is on the scan however, since my scanner cuts off the edges). These pages of art were actually used in the book, but were cleaned up, re-lettered or had other changes made digitally before publication. Please note some of these pages may be a bit rough looking. All are signed.